Childhood should be a time of growth, learning, imagination and joy. To the extent that we allow our children to remain vulnerable, all of us are endangered. Yet, when armed with a different vision of how to address the challenges faced, we can construct a new reality...now. It’s time to end years of apathy and lack of courage. St. Marcus boldly and courageously speaks out for high-quality education, and against practices that destroy children and families in our community. We must work together to educate all children and bring healing to neighborhoods crying for revitalization. Courage to Commit is a four-year comprehensive campaign, launched in July 2014 to support the growth and operations of St. Marcus School, with a preliminary goal of $19.9 million. Download a Courage to Commit pledge form or call Christine Safranek at 414-750-6498 to ask how you can be a voice of hope and invest in Milwaukee's future. Courage to Commit aims to sustain the highest level of academic and spiritual programming at St. Marcus by bridging the gap between the real cost of educating students and voucher funding. St. Marcus educates a student for approximately $4,000 less than the public school system, yet there is still a $2,000 gap between voucher funding and the actual cost to educate one child. Bridging this funding gap is critical to provide the quality education students deserve. This prioritizes the sustainability of Christian education for years to come to a growing number of students. renovations/additions, green space and an outdoor environmental learning center. Between both campuses St. Marcus will serve over 1,050 students. Courage to Commit will enhance the long-term sustainability of St. Marcus School by increasing the school’s endowment fund. Interest earned on the endowment will fund student aid, building maintenance for the second campus, operational support, and a hedge against inflation and economic uncertaity. An endowment affords an opportunity to perpetuate an individual’s or family’s values for generations. It provides sustaining support for programs that share and promote the same values. The St. Marcus endowment allows donors to provide a life-changing education infused with faith and values. All children will have access to the highest quality education. Alumni will graduate high school on time and enter higher education or the job market as influential, Christian leaders. 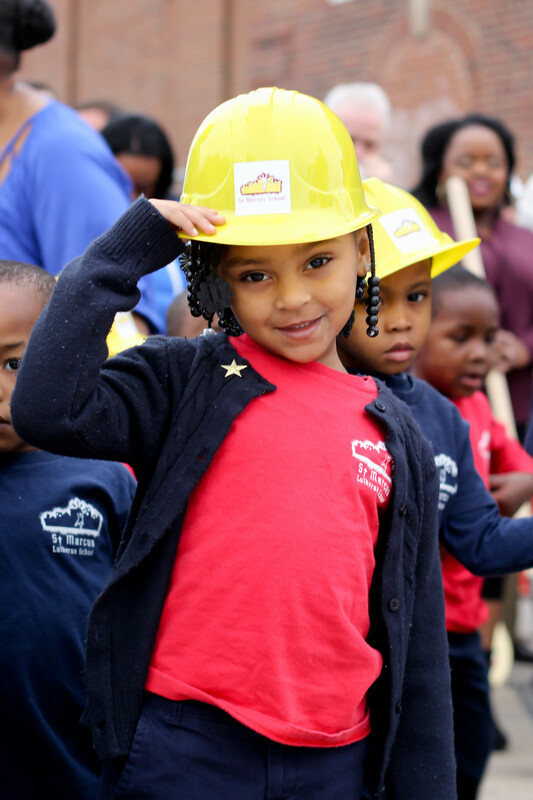 By design, families will continue to be engaged in their child’s learning and will positively impact their communities. The Courage to Commit (C2C) Campaign is designed to creat a holistic community of connectedness, safety, and productivity anchored by two high performing schools just four blocks apart. 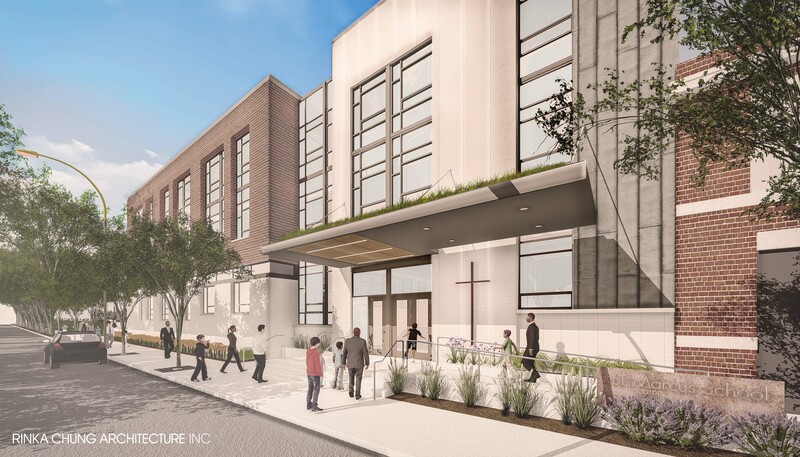 This new holistic academic community will feature access to quality education, health resources, cradle to college programming, and educational and Gospel outreach to families. Individuals will be empowered to positively impact and change their communities through faith, knowledge, and initiative. This new type of learning community is key to changing the dismal circumstances in which many families in the city of Milwaukee exist. We must work together to educate all children and bring healing to neighborhoods crying for revitalization. As a result of the Courage to Commit comprehensive campaign, the North Campus building expansion will offer over 40,000 square feet of additional space including classrooms, art/science room, music/dance room, a library and reading space, offices, special education/small group instruction spaces and a playground. The building will serve as a gathering space and community resource for over 350 students, their families and neighborhood residents. The new building broke ground in December of 2015 and opened in August 2016 with two of the four floors complete. First phase funding was made possible by a small, dedicated group of individuals and foundation friends who are passionately driven to educate more students as quickly as possible. Waiting another year to offer access to high-quality Christian education was unacceptable to these committed partners! The North Campus is currently serving 220 three-year-olds to 4th grade students. Phase I of the expansion is nearly complete. Four classrooms still need furnishing and equipping. (One of the four is critical for fall 2018 as the campus adds a 5th grade class.) A full kitchen build-out, library finishing touches, playground and parking lot completion will round out this final phase of the project. At full capacity, the North Campus will serve 350 students. As the campus further develops there is built-in flexibility to create a full elementary/middle school through 8th grade or to start a group of expansion classrooms, maintaining a robust early childhood/elementary school campus. Up-to-date posts and progress can be found on our Facebook page. Click to view all photos of the North Campus groundbreaking.